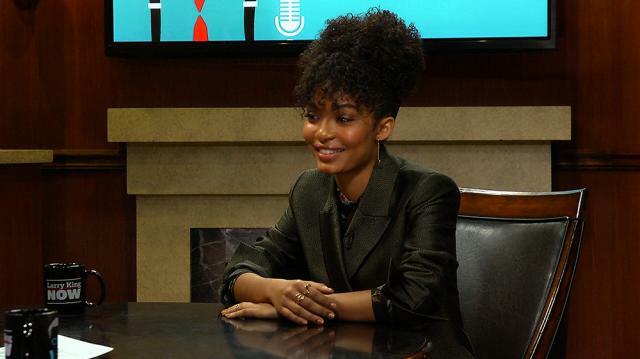 Rising actress and activist Yara Shahidi gets political with Larry, weighing in on Trump's ascent to power and revealing whether or not she'd like to meet with the president. Larry King:You’re politically active, right? Larry King: You are not a fan of our president? Yara Shahidi: I mean, part of that is just as a young black girl with the last name Shahidi who has relatives in Iran. Larry King: I’ve known him 35 years, would you like to meet him? Larry King: Are you shocked or disappointed? Yara Shahidi: A little bit of both. Larry King: Your father’s from Iran, right? Yara Shahidi: Mhm. And so it’s hard not to take this a little personally. Larry King: Watch new episodes of ‘Larry King Now’Monday, Wednesday, and Friday on demand on Ora TV and Hulu.